View cart “His Presence” has been added to your cart. 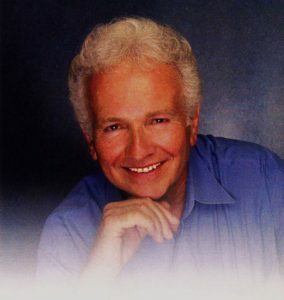 Bob Moline is a prolific singer and composer whose career has kept him active primarily in television and film. He has sung, written and produced music for Honda, Wyler’s Lemonade, C&H Sugar and FHP, just to name a few. Bob’s talents have earned him a CLIO award for his song “It Could Only Happen at Disneyland”, an EPPY award for his music at Epcot Center in Florida and two Grammy nominations for “Golden Dream” as part of The Music of Disney – A Legacy in Song and “Man’s Got To Keep Reachin'” the title song of his inspirational CD. Bob Moline’s contributions to Walt Disney World are quite recognizable as he takes Disney guests on a “Lifetime Journey” at the Canada Pavilion, tells of what makes the “World Go Round” at the Universe of Energy, helps us “Listen to the Land” and leads us on an inspirational trip upon “Golden Dreams” at the American Adventure.